Seven alleged CIT robbers were arrested today in Lombardy East, Johannesburg, and the others were arrested in the Eastern Cape on Thursday. 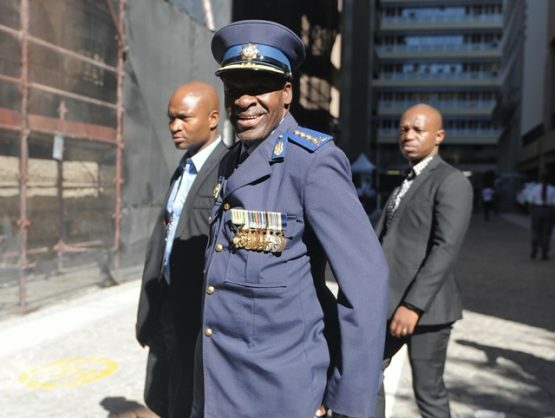 South African Police Service (SAPS) National Commissioner General Khehla John Sitole, said today that he welcomed the speedy arrest of 13 armed robbers over two days. In a statement, Sitole congratulated members of the multi-disciplinary task team for their “fantastic efforts”. On Thursday, Eastern Cape police arrested six suspects following a tip-off on a hijacked sedan, said Sitole. Police identified the vehicle travelling at high speeds between Dutywa and Willowvale and gave chase. Police recovered one 9mm pistol with five rounds of ammunition and a BXP rifle with five rounds of ammunition. The getaway vehicle was later intercepted by members of the East London K9 unit. Two suspects, who were found traveling in the vehicle, were arrested on the N2. “These suspects are allegedly part of a gang who were planning a robbery in Willowvale the same day before the police disrupted their plans. They are also believed to have been involved in other robberies in Dutywa and surrounding areas. All the suspects face several charges including attempted murder, possession of unlicensed firearms, unlawful possession of ammunition and possession of suspected stolen property,” said Sitole. He said that today, another multi-disciplinary team, acting on intelligence, arrested seven alleged cash-in-transit robbers and recovered three rifles, a pistol as well as luxury vehicles in Lombardy East, north of Johannesburg. Sitole said he was “ecstatic” with the efforts of the task team. “I would like to convey my appreciation to all the members involved in responding speedily to bring those responsible to book; it is also clearly evident that the new provincial commissioner of Gauteng, Lieutenant General Elias Mawela, has hit the ground running,” said Sitole.